Oh Dawn Rae, I am so looking forward to their visits this year too. It's only our second spring/summer in our apartment and we had them here the first year. I always plant flowers that I know they will love. I'm already planning and watching the migration maps. It will be a little while longer before they come to me, but not too much longer at all. Happy Spring! 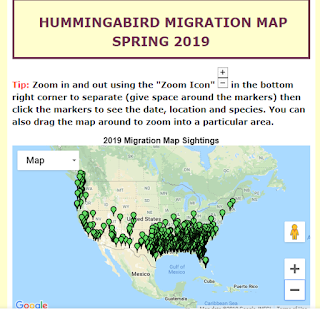 I haven't seen a hummingbird yet this year, but according to that fabulous website map you shared, they started arriving in my area in the last 48 hours. I don't put out the hummingbird feeder any longer because it also attracts wasps in our areas. I now rely solely on my Rose of Sharon to draw them in and feed them. Thanks for sharing that site information and link. Really great! 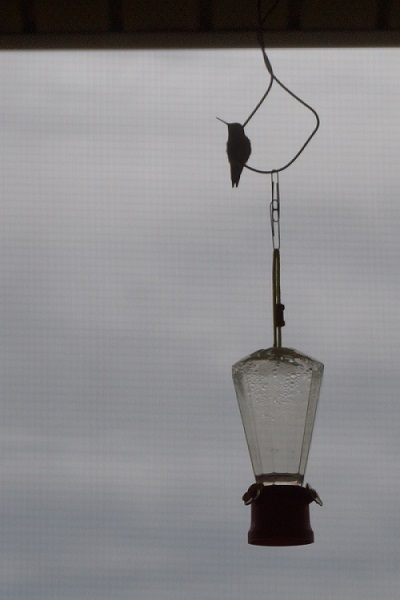 A sure sign of Springtime -- hummingbirds and their migration north. I've never had a place for a hummingbird feeder, but have watched them many times at several relatives houses in Georgia and in Arkansas. Hummingbirds are awesome. I love them too! I have to buy a new feeder this week and put it out so I can start taking more photos of them. I have never put out a bird feeder so far. I'm seriously thinking of doing it so I can get a closer look at the birds who like to hang out in my yard, but I usually have berries or seeds they can easily get to in what I have planted. Our mild climate usually provides plenty of food and nectar without my help. But it would be fun to lure the birds closer to the windows. Do you know we have 630 different species of birds in my state, but I don't believe we have any hummingbirds.